Posted on November 19, 2014 at 1:07 pm. Hello, friends, and happy Mid-Week Mash-Up Day! Pop on that kettle and take a few minutes to settle into some of the stories that caught our eye over the past week–here is your Mid-Week Mash-Up! And you were thinking your Klout score and number of Instagram followers didn’t actually pay off! Well, retail brand OnePiece is willing to exchange social media influence and promotion in exchange for clothing discounts. Following in the stylish footsteps of designer Marc Jacobs, who recently exchanged tweets and Instagram pics for prizes that included perfume and handbags, the #socialcurrency concept appears to be paying off for both brands and consumers. Described as “The purest form of content marketing,” by Rebecca Lieb, Altimeter Group Analyst, coffee brand Illy brings us the st ory of a group of female entrepreneurs from a small Costa Rican village that have created a sustainable coffee production business. The documentary titled A Small Section of the World will hit theatres this December, also following in the footsteps of brand Patagonia who sponsored the film DamNation, a story that sheds light on the damaging effects of outdated dams. Kick-start your imagination with an online multi-sensory experience brought to you by author William Boyd and Land Rover. 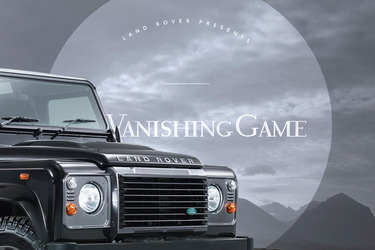 The Vanishing Game, an interactive version of Boyd’s novel was launched online last week featuring a Tumblr page that sets the murky tone for this exhilarating driving adventure with “interactive backgrounds, gloomy animations, and intoned narration” as we see the story unfold in front of us. Heineken has teamed up with technology platform Bond, a robot powered machine that produces handwritten material with unique capabilities that can mimic individual writing styles. In this latest digital campaign titled, ‘Spark Your Holidays’, you can send personalised messages to recipients that come in the form of handwritten holiday cards, encouraging us all to take the time to enjoy the simple pleasures of the holiday season…with a Heineken in hand, of course.